A Collectively Owned Media Company. for treatment. She also became deeply involved with Standing Rock from August 2016 on and all subsequent ripples in the new global movement stemming out of Standing Rock. that project for as little as $10 a month. So ,what follows is Bill's original message with all pertinent information. We love you all for taking time to read this and consider participating in one of the most innovative models for artistic support and the Creative Commons to be created so far. SHARE AROUND OUR CAMPFIRE (TOASTING LIZZIE’S VEGAN MARSHMALLOWS),OUR STORIES FROM THE TRAIL OF TEARS TO THE TRAIL WE ARE ALL FORGING NOW…THE TRAIL TO THE CAMPFIRE STARS. MAY THE CIRCLE BE UNBROKEN,LET THE EARTH REBLOOM AGAIN,OUR MOTTO. COULD FROM YOUR BEAUTIFUL HEARTS. IT HAS BEEN A LONG ,SLOW PROCESS.LIKE ANY GOOD MOVIE IN THE MAKING! SINCE MONEY STILL IS THE CUSTOMARY FORM OF EXCHANGE,AND WE HAVE TREASURE BUT NO DO RE MI,I HAD AN IDEA. WOW! 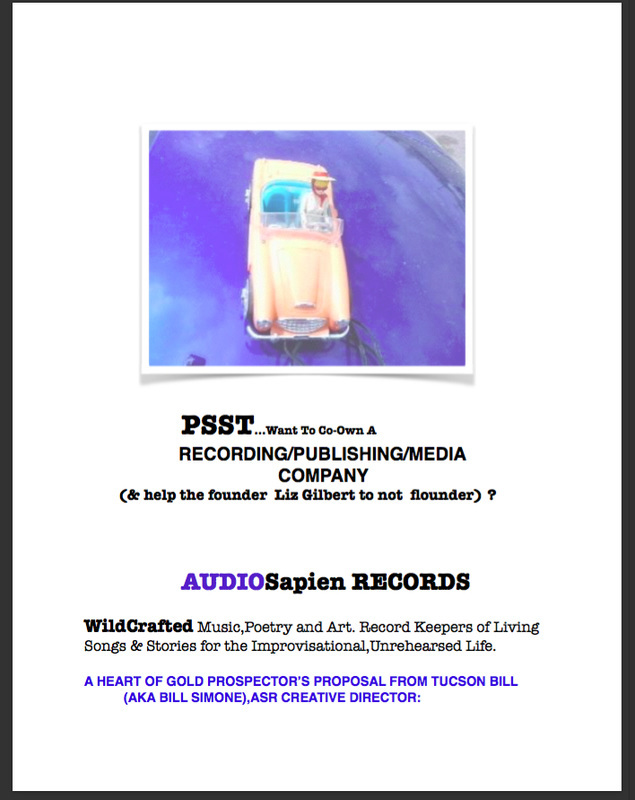 WHY NOT START AN UNPRECEDENTED CROWD-SOURCED LLC COMPANY,AUDIOSAPIEN RECORDS,AND CAPITALIZE IT WITH ALL OF LIZ GILBERT’S SUBSTANTIAL CREATIVE ASSETS,THROUGH A LIVING TRUST ? YES!! WIN WIN ! ASR,LLC CAN OFFER A LIMITED NUMBER OF (CAPPED AT 100) MEMBERSHIPS.LLCS HAVE MEMBERS VS SHAREHOLDERS AND ARE NON-HIERARCHICAL IN STRUCTURE.LIKE A COOPERATIVE,BUT INTERNATIONAL IN SCOPE. THE FOUNDATION OF SUPPORT NEEDED NOW (& TIME IS OF THE ESSENCE ) ,iS TO MANIFEST IN A REALLY TIMELY MANNER,A VEHICLE AND FUEL TO TRANSPORT LIZ,MURPHY AND SOME WORK GEAR ,BACK HOME TO CANADA AT LAST,FACING AS SHE IS A RECURRING BRAIN TUMOR AND THYROID TUMOR FED BY THE BRAIN TUMOR SOME PEOPLE HAVE ALL THE FUN,BUT WE CANNOT AFFORD TO LOSE OUR FEARLESS FOUNDERESS. (A SIDE BENEFIT; IF NEEDING TO ESCAPE FROM TRUMPLANDIA OR FOR ANY REASON AT ALL,YOU ARE ALWAYS WELCOME THOUGH IT DOES GET COLD,MURPHY IS PLANNING AN AIRSTREAM DOG SLED BUSINESS THOUGH AND THAT, WITH THE VEGAN MARSHMALLOWS COULD BE A MAGIC FORMULA FOR SUCCESS. /LGCT). MEMBERS OF ASR-LLC WILL EQUALLY REAP ANY REWARDS IN PERPETUITY ( OR AS LONG AS THE ACCURSED MONEY SYSTEM STANDS AND,AFTER IT FALLS,WE’LL THINK OF SOMETHING ELSE. BY THEN WE WILL BE LONG GONE.). IT COULD BE A LITTLE OR IT COULD BE A LOT (ALL OF LIZ’S SONGS,RECORDINGS,ROYALTIES,WRITING ART, WILL BE THE WEALTH OF THE PUBLISHING COMPANY. WHAT A WATERSHED OF CREATIVE CAPITAL TO DRAW ON.). YOU WILL HAVE INPUT ,AS MUCH OR AS LITTLE AS YOU WISH INTO ANY ASPECT OF THE COMPANY. A MEMBERSHIP SHARE IS $200. CAPPED AT 100 LIKE-MINDED CREATIVE FOLK. WE WISH IT COULD BE $5,BUT THIS IS NOT A PUBLIC OFFERING AND SO THE NUMBER INVITED IS LIMITED. WE DO BELIEVE IN THE CREATIVE COMMONS,SO AT SOME POINT MEMBERS MAY WISH TO OPEN UP THE DOORS TO MORE PEOPLE. HEARTH FOUNDATION’S ESTABLISHMENT OF A RA PAULETTE TRUST. WE WANT YOU,ALL OF US,TO REAP ANY HARVESTABLE REWARDS. THIS IS LIKE A COMMUNITY SHARE FARM,GROWING SOUL FOOD,AND THE GOOD NEWS IS,WE HAVE A BUMPER CROP ALREADY. A CORNUCOPIA OF GOODIES THROUGHOUT 2017 AND 2018(SOME NEED A BIT MORE AGING AND BOTTLING INTO SPECIAL VESSELS). ASR’S PREMIER RELEASE(SLATED7/4/17) wires/no wires(1/2 past Eden)/Liz Gilbert . Re-ISSUE NEW THIRD WORLD TRILOGY + LTD. EDITION BOOK. CUSTOM THUMB DRIVE LIZARUS IN WONDERLAND SHOW 2014-2015 (A COLLAGE FILM). SAILING THE SAGEBRUSH SEA ;AN ART BOOK OF POEMS & WELL,ART. WOW! ALL THIS IS WORTH $ 200 CONSIDERING YOU CO-OWN THE RIGHTS TO IT ALL TOO ! YES ! HERE’S HOW TO BECOME A MEMBER. MAKES A GREAT GIFT FOR ANY ARTIST FRIENDS YOU WANT TO SUPPORT TOO. DOUBLE WIN WIN ! and… IF YOU DON’T GOT THAT DO RE MI,WE TAKE TRADES! AND YOU WOULD ALL SHARE A PIECE OF PIE! IF YOU HAVE A CAR DEALER FRIEND OR FRIEND WITH VEHICLE WHO WOULD WORK WITH US,YOU BOTH BECOME MEMBERS. ETCETERA ! 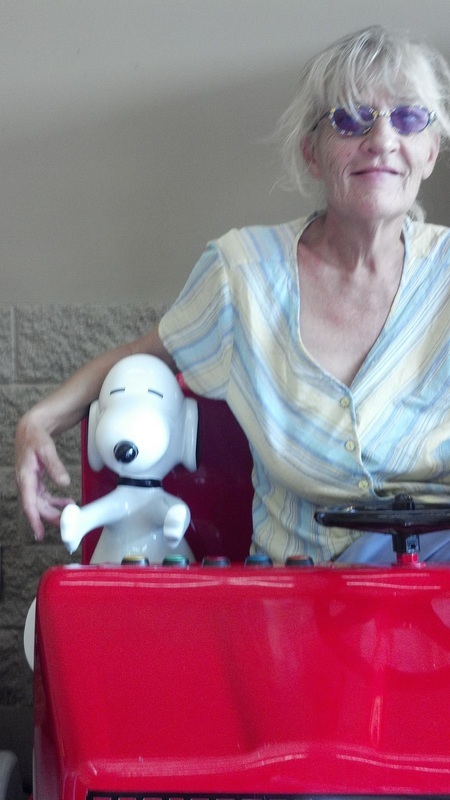 LIZ HAS A PERFECT DRIVING RECORD ETC.. WITH,LIKE MILLIONS OF OTHERS,RUINED CREDIT DUE TO FORECLOSURE BATTLE ,AND HER LANDLADY STOLE HER CAR IN 2015!